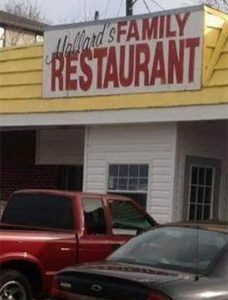 Mallard's Family Restaurant in Nashville, TN serves lunch six days a week (closed on Monday) and is open for dinner five nights a week (Tuesday thru Saturday). All burgers are fresh hand patted and seasoned at time of order. All burgers and sandwiches come with Steak Fries. 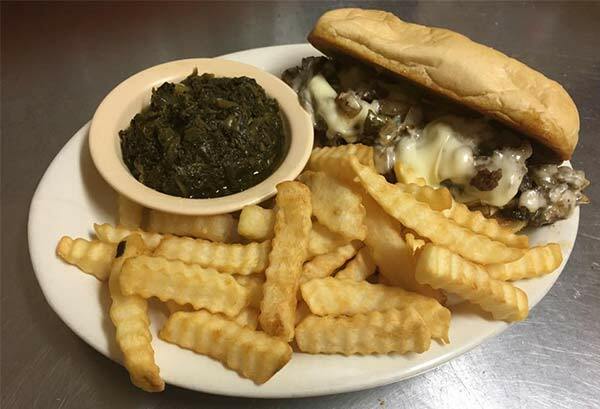 Topped with grilled onions, peppers and mushrooms on a hoagie bun. Corned beef, sauerkraut, 1000 island, swiss, rye bread. Served with Swiss cheese and grilled onions. Served with French fries and choice of BBQ or Honey Mustard. Served with mashed potatoes and slaw. Served with slaw and pickle. Bacon, ham, lettuce, tomato and mayo. Served with mustard and onions. Tossed greens with ham, cheese, boiled eggs, onion, tomatoes and bacon. Tossed greens topped with fried chicken cheese, tomatoes, onions and boiled egg. Your choice of tuna or chicken salad. Served on a bed of tossed greens with Cottage Cheese. Served with Garlic Bread and House Salad. Served with French Fries, Slaw and Hush Puppies. All steaks come with House Salad and your choice of French Fries or Baked Potato. All To-Go orders 45 cents extra.